Rotorless Rheometer, also named Rotorless Rubber Rheometer. 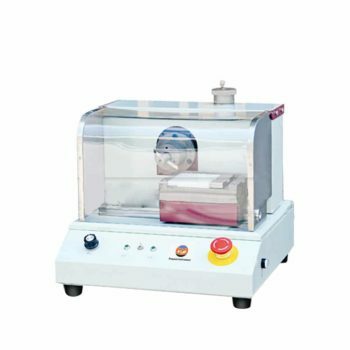 It is used to determine the whole vulcanization characteristics of the glue material. 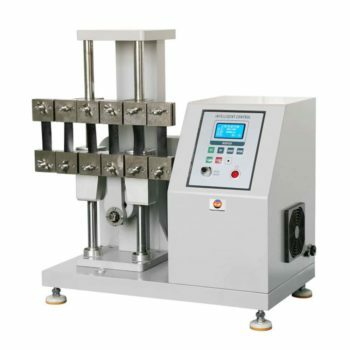 The test temperature is the same as the vulcanization temperature of the rubber. The vulcanizer gets a complete cure curve. On this curve, you can see the positive vulcanization point, which is the time of positive vulcanization. The maximum torque is related to hardness and tensile strength. 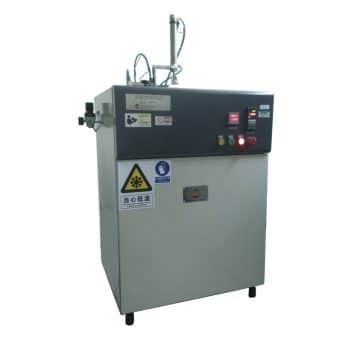 Rotorless Rheometer is refers to the continuous measurement in the process of rubber vulcanization rubber vulcanization properties of all change, and has the high testing precision of the instrument, in the production of rubber products manufacturers can use it for rubber uniformity, repeatability and stability test. And the design and testing of rubber formula are mainly used in batch production of rubber vulcanization. The theory of vulcanization apparatus. Non – rotor vulcanizer produced by hair – ray instrument. From the rheological point of view, so to speak, so far, all kinds of principles adopted by the rheometer is essentially consistent, namely die within the cavity of the small sample continuous under constant amplitude and low frequency sine shear deformation, the strain sensors measuring shear stress, expressed as a unit of torque, the shear modulus of the rubber, when the sample size, thickness, Angle and amplitude experiment at a certain temperature, the determination of the shear stress is proportional to the density of junction, record the shear stress – time curve is the vulcanization curve. Powerful function of processing software. 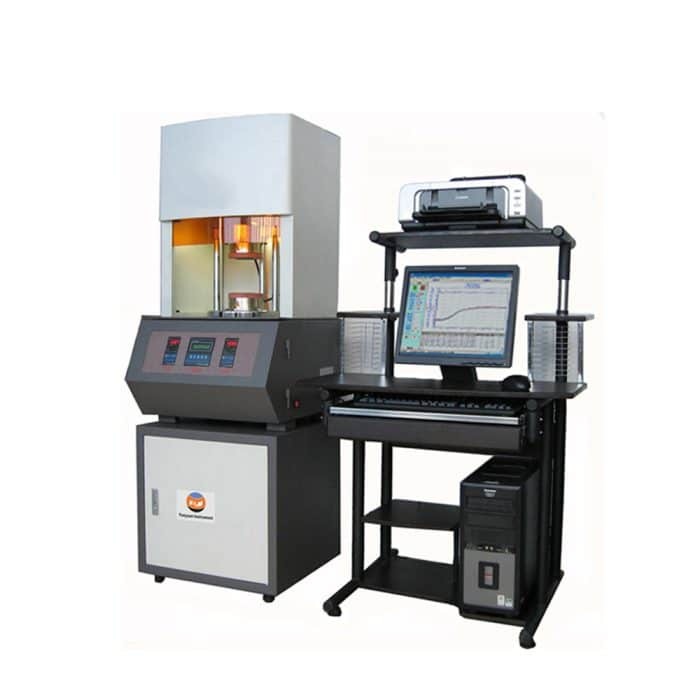 Rotorless Rheometer is applicable for vulcanization of rubbers to acquire characteristic curves and parameters through measuring the torque which rubber materials effect on the oscillating die. 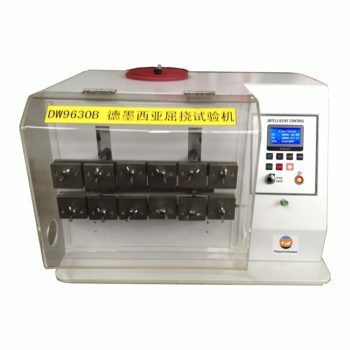 Rubber Testing Equipment is used to analyze the performance of rubber, Rheometer is used to develop new products and control the rubber product quality , The curves and characteristic parameters on vulcanization of rubber materials can be obtained using Rheometer based on the measurement of the torque created by the rubber material on the Oscillating die. Rotorless Rheometer complies with ASTMD5289-95, ISO 6502:1991 , GB/T 16584-1996 international and retailer standards.